Your honeymoon is a once-in-a-lifetime opportunity to explore a completely new corner of the world with the person you love the most, and so it can difficult to narrow down your options. With this in mind, it is definitely worth considering going on a cruise for your first trip away as newlyweds. Cruises offer versatility and variety, with the average tour stopping at over 10 ports, whereupon you can disembark and explore the surrounding area – and plus, they’re probably the most luxurious way of travelling! 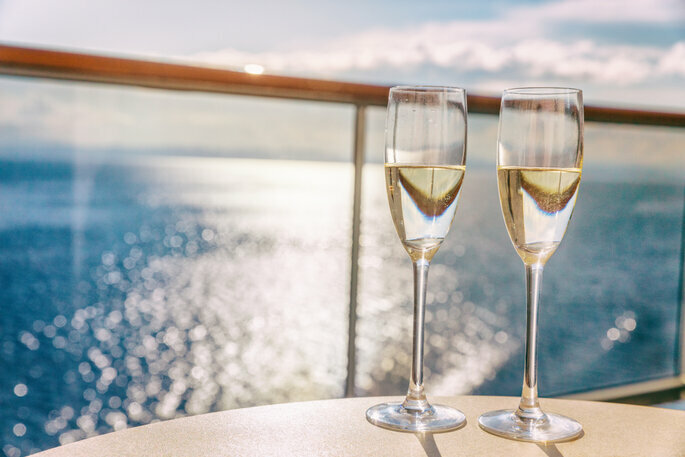 We’ve collated some of our absolute favourites here to give you a flavour of what is on offer – so scroll on, and discover a world of possibilities for your honeymoon at sea! 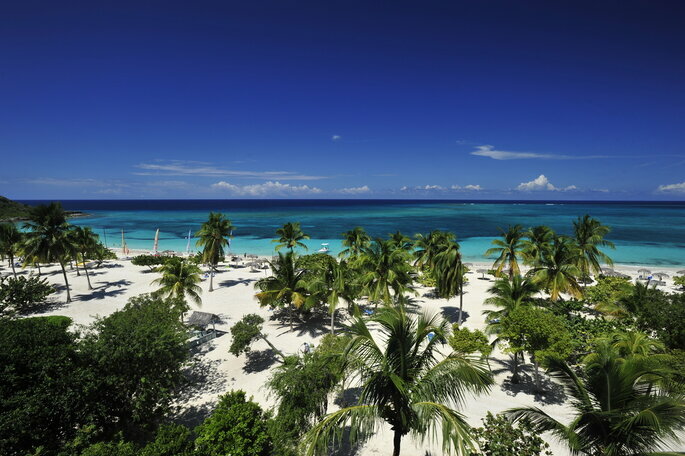 Highly recommended by the fantastic team at Crystal Cruises, a cruise around the West Indies – one of the most highly-desired areas of the Caribbean – is the perfect journey for a newlywed pair. 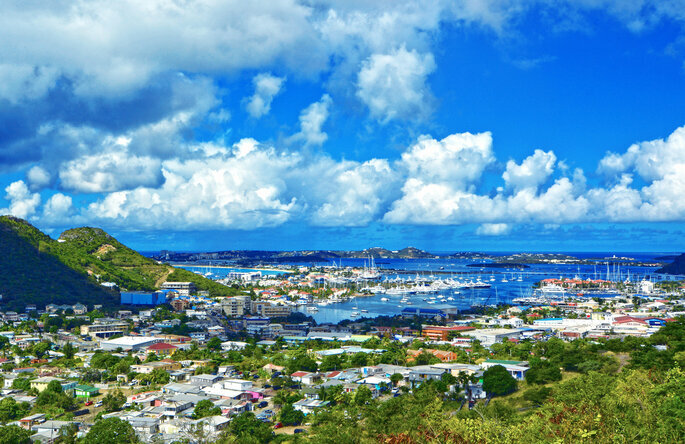 Every cruise on the planet offers their guests beautiful views, and yet those from a tour around the West Indies are paradisiacal – the temperate heat, the cool ocean breeze, and the vast uninterrupted views of a sparkling azure sea are sure to provide a tropical environment for what is the most romantic week of your life. If you travel the West Indies with Crystal Cruises, you can be sure that your journey will be not only beautiful, but luxurious too. With its own private marina, complimentary usage of watersport and diving equipment, and a route that touches Nevis, Peter Island, St. Barts, Antigua, St. Kitts, Richard Branson’s Moskito Island, and other remote paradises, your voyage on the Crystal Espirit will be a real slice of heaven. St Martin. Photo via Shutterstock. Moving on from a tropical climate to colder shores, there’s nothing more intimate and romantic than spending a week wrapped up with your new husband or wife, in awe of the incredible mountains and glaciers that Alaska has on offer. With truly spectacular features on display from a variety of providers, don’t be fooled into thinking there’s less to do on an Alaskan tour – go on an exclusive trip whale-watching, watch out for the Northern Lights which are often visible, and be wowed by the nature around you. Norwegian Cruise Lines offer some of the best cruises around this stunning snowy sector of the world. 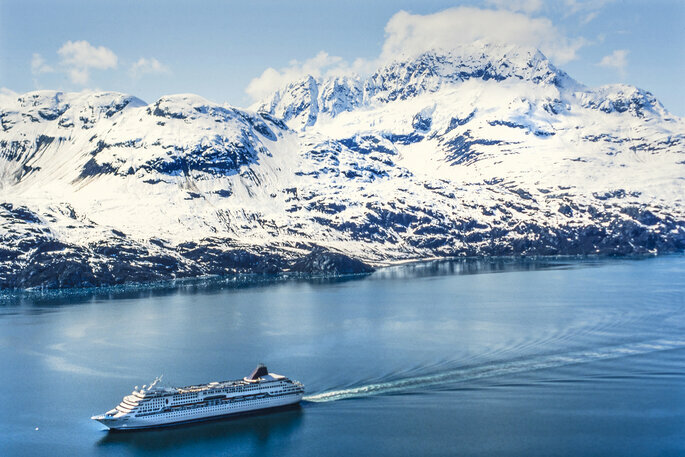 Stopping along the way at Glacier Bay and the Misty Fjords, they offer the chance to travel and explore in absolute comfort – with a range of suites and balcony-rooms on offer. For something a little different – the mystical wonder of the unknown over tropical beaches (both are good!) – check out Alaska for your adventurous honeymoon! Crystal Cruises explore this new corner of the world several times a year, through all seasons. 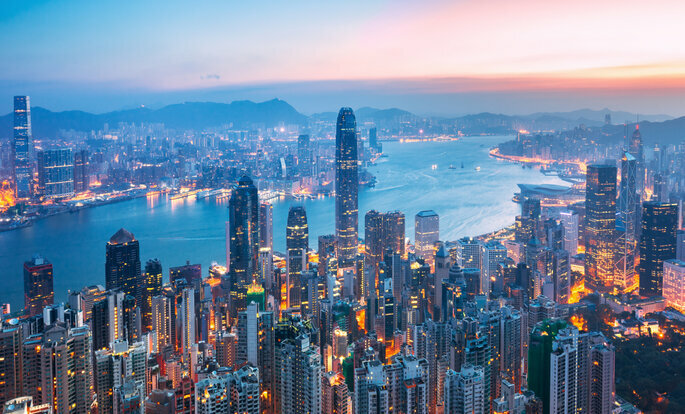 And as with many other of their services, you won’t have the chance to get bored – with veritable shopping malls on board, and activities from Pilates to Photoshop classes; shore excursions to cities such as Ho Chi Minh City and Bangkok may also sweeten the pot ever so slightly! Make the most of this incredible opportunity to travel. Hong Kong. Photo via Shutterstock. Cuba has gone relatively unexplored by British and American tourists due to a slightly hostile past, but it is truly one of the most incredible places on earth. With a completely unique way of life, with its own original music, dance and cocktails (! ), Cuba is also visually enjoyable, from its white sand beaches to colourful towns which are bursting with life. For couples looking not only to relax in the sun, but to immerse themselves in the history and culture of a completely different society, then Cuba is ideal! Norwegian Cruise Lines offer this exclusive tour, departing from Miami and travelling along the American coast towards the island of Cuba. Infused with Cuban culture, on board you can try authentic cuisine and learn the language; their route delivers you to the heart of Havana, and then onto the coast of Mexico for one of the most vibrant trips that you can take. Love, laughter and exploration – what more could you want? If you’re looking to stay a little closer to home, then a cruise down one of the most picturesque and historic rivers in Europe will probably tickle your fancy. 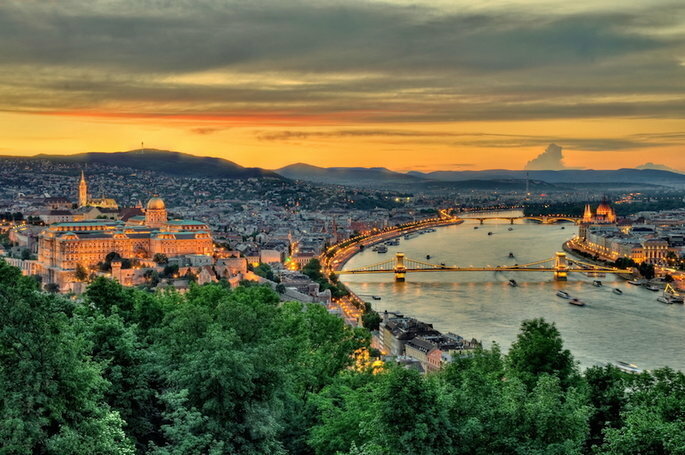 A voyage down the Danube means that you’ll have the chance to take in the incredible views offered by Budapest, Nuremburg and Vienna, amongst many other classic European cities. Adorned with palaces, monuments, and home to some of the best food in the world, a cruise in this part of the world will expand your mind and is a more cosmopolitan take than your typical sunny cruise. One of Crystal Cruises’ specialities is their Danube River Cruise in December, in time for the infamous Christmas markets in Hungary and Germany which are renowned around the globe. If you’re getting married in the Autumn or Winter, then this would be the perfect chance to have two unique experiences in one fell swoop – so check out the details, and get booking now! We hope you feel inspired to make the most of your honeymoon now by taking a cruise – just think of all of the possibilities!